Handheld pole is made from light weight carbon fiber with high strength, the length of which is adjustable. Handheld underwater camera is an underwater observation instrument which is compact in size, easy to operate, and convenient to carry. This system is equipped with a 7-inch LCD display and can check the underwater situation in real-time. The telescopic pole is adjustable, and the largest detection range is 12 meters. 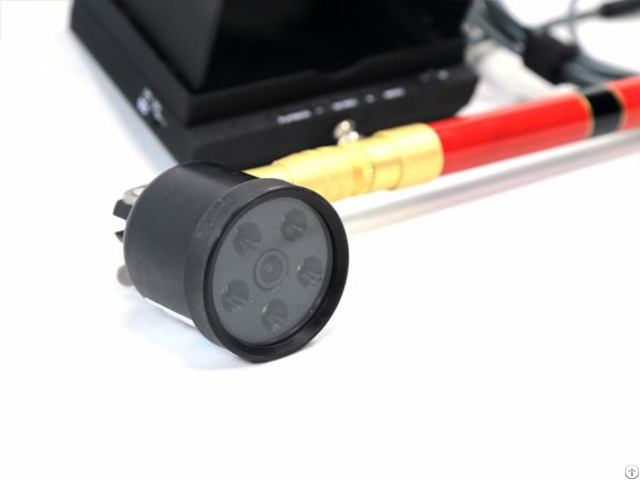 The handheld underwater camera can be widely applied to marine ecological survey, aquaculture, maintenance of boats and yachts, fire fighting & rescue and archaeological studies. Business Description: Qingdao Robotfish Marine Technology Co., Ltd., established in July, 2013, is a high-tech company which was the first one settled in Qingdao Oceantec Valley Core Area. The company has been devoted in the development, production, application and service of ROVs, sensors and big data technology.